This "Unforgettable Cocktail Glass" tapestry shows the work of Simon Bull. The works of Bull are renowned for their bold use of color. Here we see the swirling backgrounds of the scene including the swirling colors behind the glass itself. 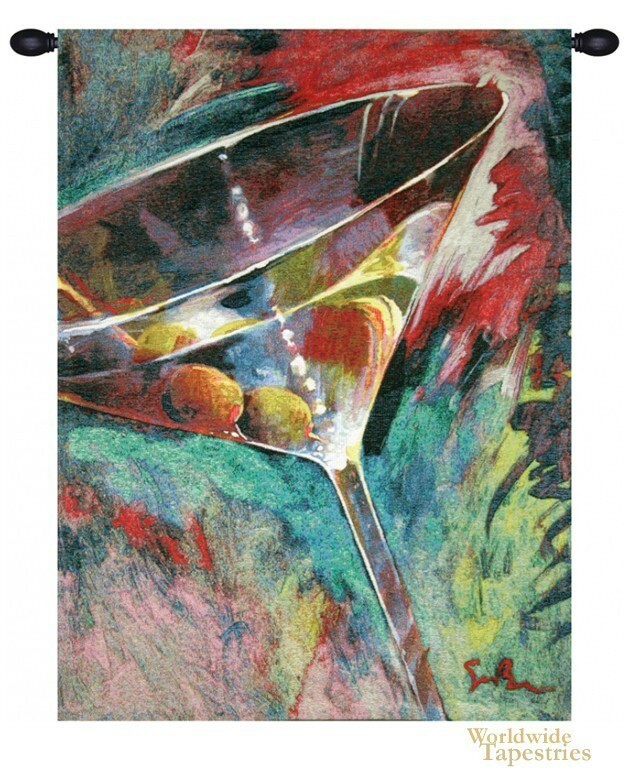 This contemporary tapestry "Unforgettable Cocktail Glass" is backed with a lining and has a tunnel for easy hanging. Note: tapestry rod and tassels, where pictured, are not included. Dimensions: W 27" x H 37"